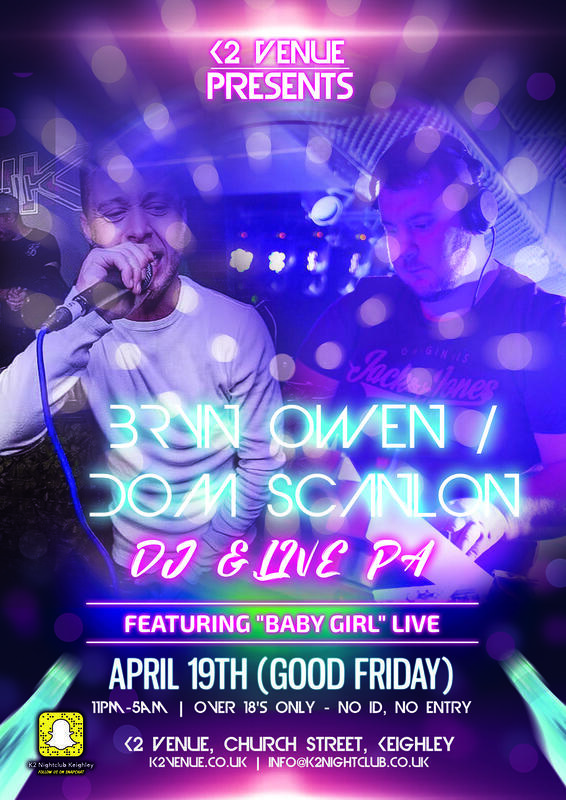 Friday 19th April (Good Friday) Bryn Owen and Dom Scanlon will be LIVE!!! Bryn Owen and Dom Scanlon will be LIVE!!! They are making their long awaited Debut in Keighley together & They will be bringing you a show that you will not forget! Dom Scanlon will be performing an exclusive 2 hour Bass House Bible Set bringing those Big Bass Beats to K2 Keighley! !